I was in the mood for a cute, fun, summery read. Angie Stanton definitely delivered with Royally Lost. 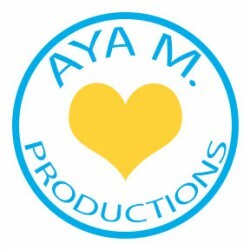 It is an insta-love story, and the main characters may seem a bit whiny at times. However, I think it all worked out well. I loved Becca and Nikolai and ended up thoroughly enjoying this read. Becca and Nikolai came from startling different backgrounds, but one thing they had in common were imposing parents that had expectations which didn’t coincide with what they wanted. Becca did’t want to go to Northwestern to major in pre-law, and Nikolai didn’t want to join the military, becoming a mold of his father. Many coincidental meetings leads to an act of rebellion as Becca and Nikolai attempt to find themselves on their own European adventure. Like I said, Becca and Nikolai were a bit whiny. They continuously complained about their situations and about their parents. However, I liked them regardless. They were teenagers that were sick of doing what they were being told, and through all of the complaining I enjoyed seeing them do things for themselves. They started growing as individuals, trying to discover who they wanted to become. The insta-love also didn’t bother me as much. Yes, I did think their declaration of love was pretty farfetched, but I do believe what they had was definitely a summer, teenaged love. I don’t doubt the feelings and the chemistry they had for each other. It was definitely cute. I enjoyed watching them grow together even if it was only over a few days. 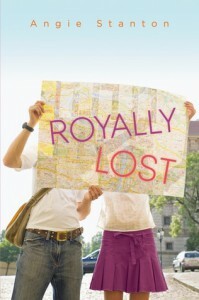 Overall, I loved Royally Lost by Angie Stanton. I thought it was well written, and it definitely makes me want to go to Europe. Royally Lost was a nice, cute, fluffy read. I definitely recommend it as a beach read. And in the end, I’d give it 4 stars.